The innovation and upsurge of technology has equipped us with answers to many personal needs and even beyond. An important aspect of human life focusses around health. Have you ever wondered that how helpful it would be if we could get an advanced alert for upcoming probable health issues? How nice it would have been if we could have a personal health profile just like we can customise our smartphones? To our good news, most of the above exclaimed is already a reality. The ever-growing datasets captured across different venues of machines, human-machine interactions and others can be leveraged for meaningful, relevant and much-needed insights that can uplift our capabilities, strategies and the outcome in so many vital fields including healthcare. The datasets can be worked upon for different kinds of analysis, be it prescriptive, descriptive or predictive. By studying the datasets and creating different models we can effectively understand the present and predict the future requirements, needs and trends. This mode of catering healthcare needs through data-based analysis is primarily called Healthcare Analytics. The pharmaceuticals enterprises can better envision the sales using the sales forecast. Suitable profit margins and cost optimisation can be achieved for branded drugs before they enter the zone of over the counter. Promotional strategies can be drafted based for a sales representative based on physician prescription data. The Government will be in a position to take right and needful decisions at right time for holding the health status of the nation intact. This will orient researchers to direct their energy and time in more urgent issues and thus our Healthcare ecosystem will witness uplift in the quality and technologies for tackling the severe health challenges. The insurance providers will be in a position to understand the situations and risks better. They can thus be prepared to be selective in their approaches and better strategised to increase profitability and minimise risks. On the way to meet such prospects, there will be also encountered with many challenges in implementation. The privacy of the patient is to be kept secure. Due to the difference in the policies of different institutions, there is a challenge in obtaining and managing information datasets. The datasets under a centralised system run a risk of mutation. Also, if there are different groups collectively contributing to some cause and if some groups leave in between then there is unnecessary delay in work progress. Moreover, the architecture of client-server is also a point of concern. Such challenges are of serious nature and are required to be handled efficiently to reach the desired results. To answer such challenges and to overcome them, Blockchain technology seems to be a fit answer. It, first of all, keeps the privacy of the Patient secure by the help of a private key which is analogues to password. The transactions are kept as references to places where the needed data is stored. This facilitates the faster working of the Blockchain platform across the globe. A patient, therefore, can access his medical history anywhere across the globe and this enables him to continue with quality and organised treatment even if he migrates or keeps travelling. The different parties, patient providers, organisations can access the data keeping the patient non-identifiable thus not breaching patient privacy. And at the same time, they are empowered to analyse the data and discover newer and meaningful insights which can facilitate the already discussed prospects. The added advantage is that there is also cost reduction due to required infrastructure and exchanges. Moreover, it is not limited to the practical scalability of data issue. It also triggers a strong fight against counterfeit drugs. The insurance companies are helped for their record keeping and thus quicker verifications and thus quicker payment of claims. The researchers can access the data for their insights and orientation overcoming the previously mentioned difficulties. 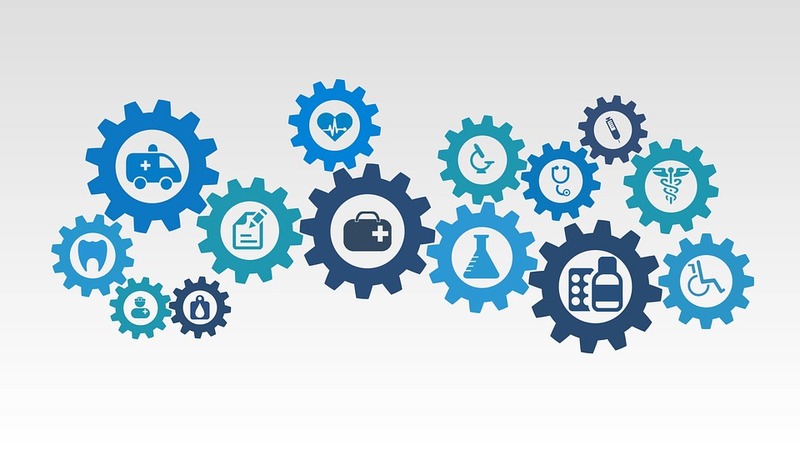 However, there are some concerns that seem to be barriers for mitigation from the present scenario of Healthcare Analytics to Blockchain enabled one. Some key issues are underdeveloped infrastructure, shortage of dynamic applications, unawareness of potential benefits, hazy visions of executives and the barriers of different regulations and norms for its allowance in different countries. 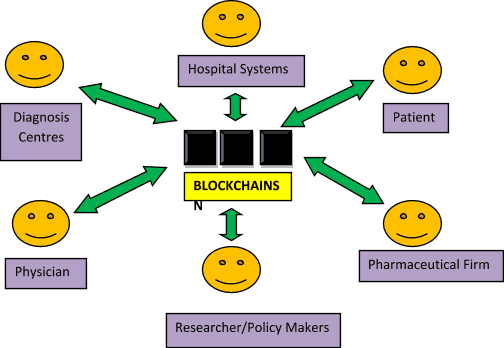 But, nonetheless as mass advances in the application of Blockchain, one can surely hope for new bright days in Healthcare segment providing a better tomorrow. It stands with the potential to be indispensable for the needs it can cater. 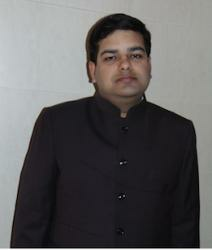 Thus the day is not far when we will have much higher synergy and services in this segment.